Home Articles Does Your Child Need Occupational Therapy? What Are the Signs that Indicate My Child Needs Occupational Therapy? Below are two lists of signs/difficulties that indicate your child might need occupational therapy (referred to as “OT”). These lists do not include all the signs that your child needs OT. You may find additional signs on the internet; your child’s teacher may speak of difficulties that your child is showing; or you may observe your child having a difficulty that is not identified on any list. In any case, it is recommended that you contact and consult with an Occupational Therapist to find out if your child needs an OT evaluation. Eats less than 20-30 different types of foods. If your child eats French Fries and mash potatoes then this counts as two separate foods even though they are both potatoes. If your child shows any of the signs from the lists above (or from another source), your child may need occupational therapy. A word of caution: some pediatricians tell parents that the child will “outgrow” the signs/difficulties, when in fact, a child will not outgrow it. I have heard from many families whose pediatrician said their child will outgrow the difficulty and then waited several months (up to a year!) before searching for help for their child. As a family waits for their child to “outgrow” the difficulty, their child falls farther behind. I recommend you follow your intuition and do what you feel is best for your child… the earlier the better. Even if you feel that the difficulty your child is showing is not severe or significant, consider an OT evaluation anyway. Occupational Therapy evaluations are a non-invasive way to evaluate your child’s skills and performance. The evaluation and the occupational therapist will talk about your child’s strengths and weaknesses, and will give you ideas on how to help your child make progress. 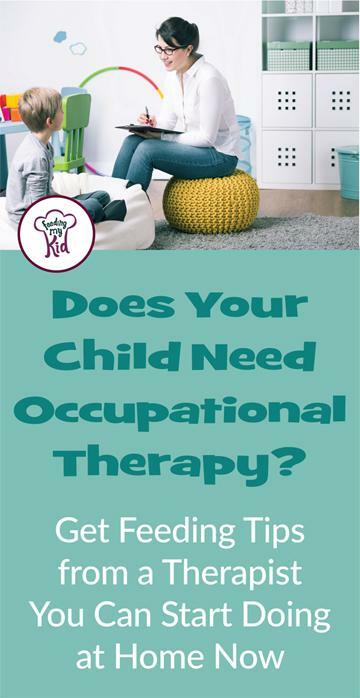 Please refer to this article: How to Find an Occupational Therapist for your Child. 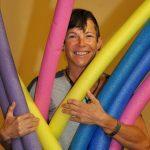 Visit Tammy’s bio and get her contact info if you are looking for an occupational therapist in Orlando. Next articleThe Kitchen Is Closed. Strategies to Get Your Kid to Eat.